Before you have children, a day of rain is unlikely to impact your life in any significant way. You might walk a little faster to the tube station or drink your pint indoors rather than out. You certainly don’t need to dress for it. And you absolutely don’t need to be out in it. You just carry an umbrella with your nice A/W outfit and keep on living your peaceful life. So that is why I know the 8-years-ago version of myself would be so horrified at the content of this blog post. Rain wear!! The death knell of style. 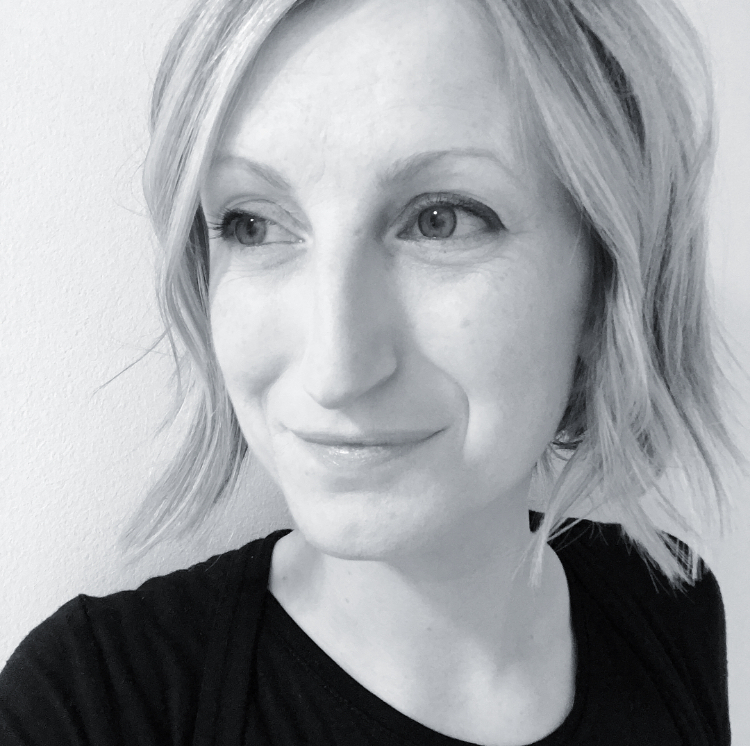 If you are about to have a baby; already have a baby, or even more urgently, a toddler – then this post is up your street. I’m talking about my most recent purchase. I’m talking about a raincoat from Rains. 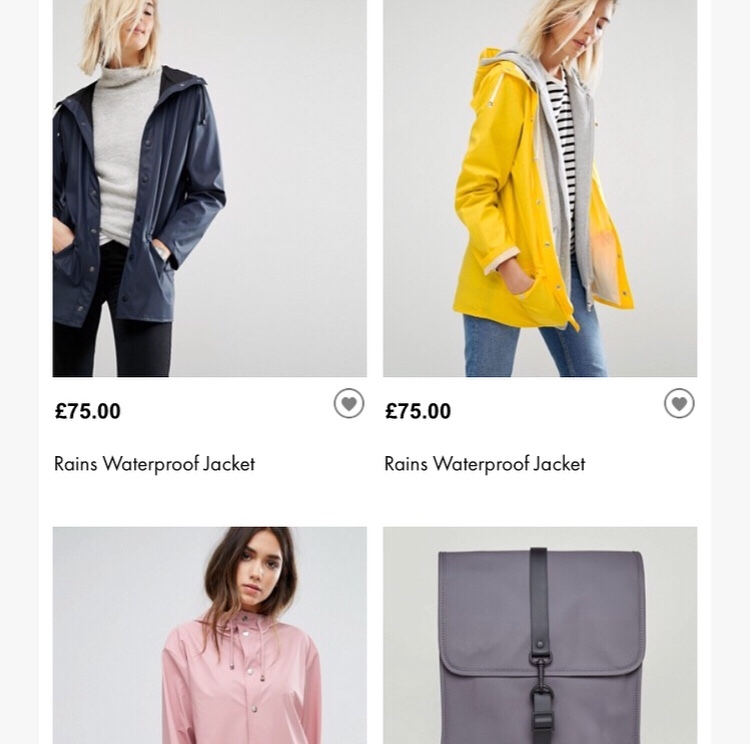 I have been eyeing some from Stutterheim since 2009 but despite fully embracing the need for a raincoat I just couldn’t enjoy myself spending that much on a raincoat. Especially when you translate the amount in pounds to Canadian dollars ($680 – my mum will have fainted). 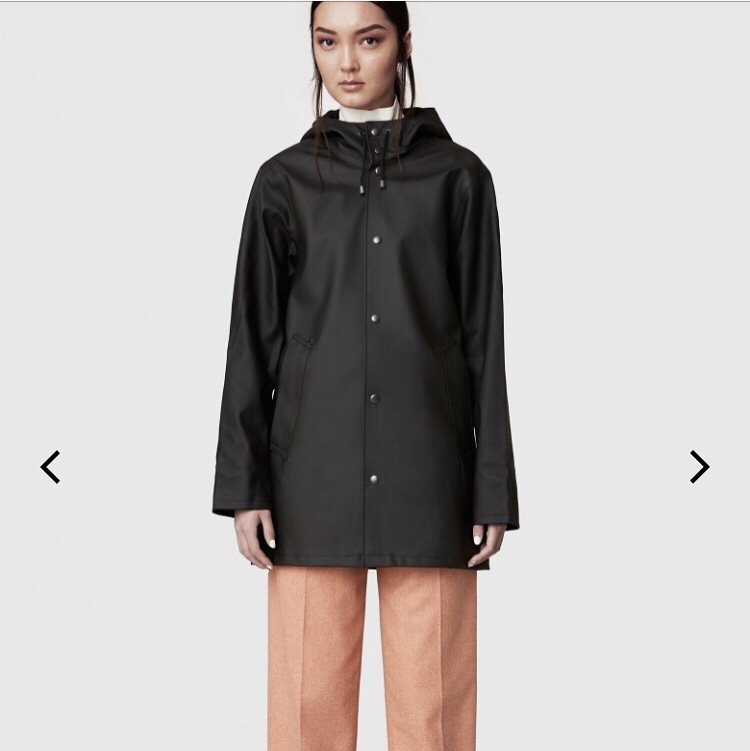 If you like to spend the better part of a thousand dollars on a raincoat though, you probably can’t do any better than these. 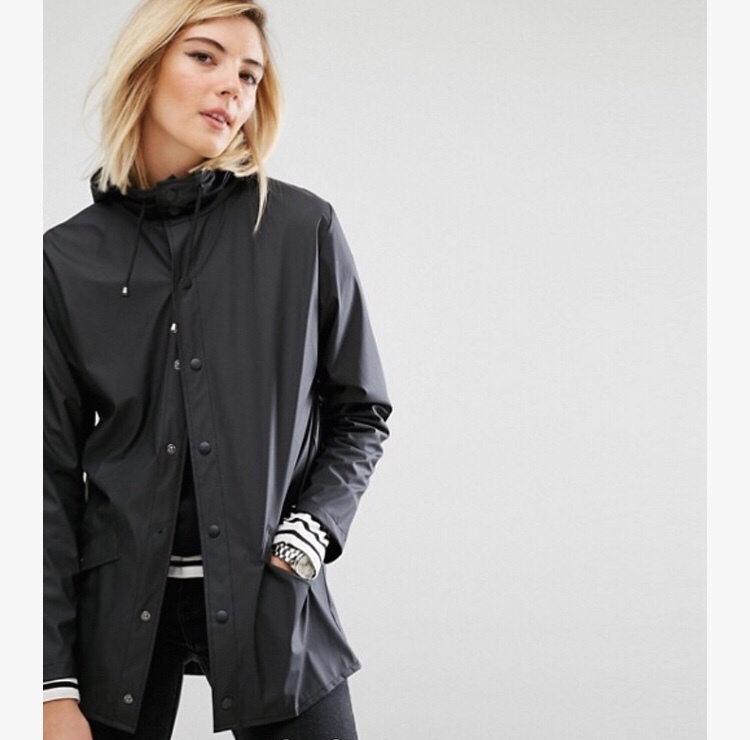 Is it just me or does this model look like she’s trying to convey via her eyebrows that this jacket is insanely expensive and is still…just… a raincoat? Reading you loud and clear my friend. Anyway. Stutterheim, I’m out. 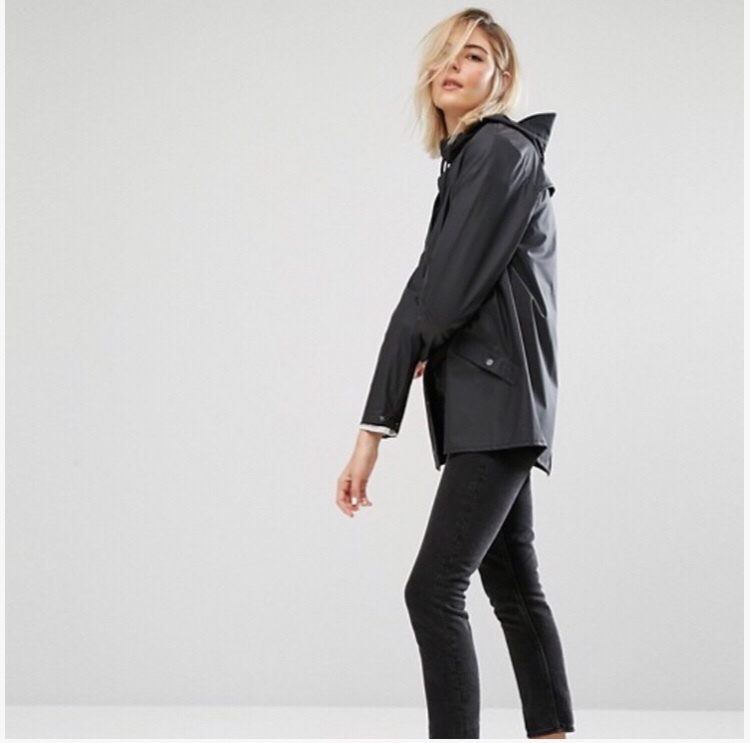 H&M make some good European efforts in rainwear but their adult rain coats are huge on me and if there’s anything worse than having to wear a rain coat, it’s looking like you’ve had to borrow your mother’s rain coat. 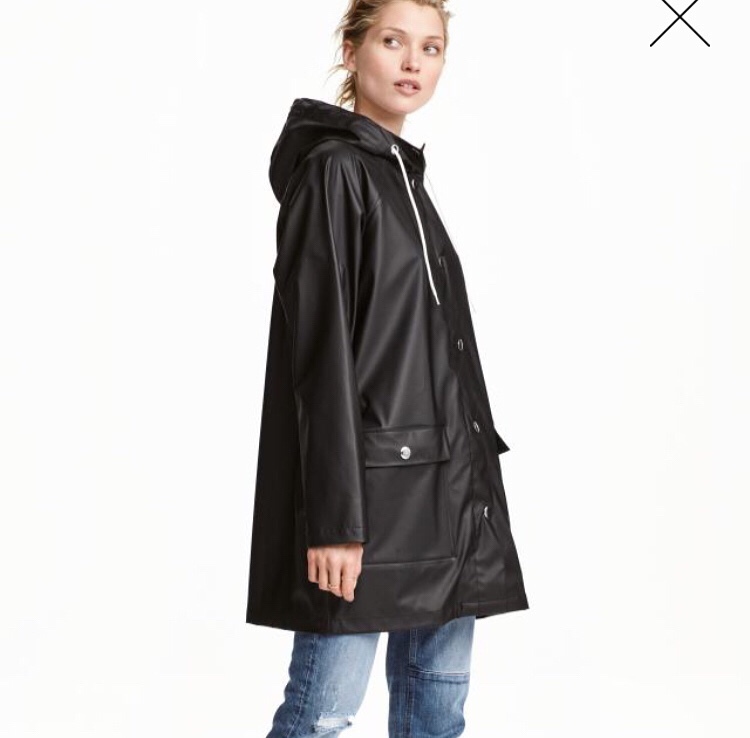 This model is feeling much happier about her budget raincoat option. And now I go to link this coat I see H&M are sold out. They make them every year in a variety of colours. And still have a strikingly similar khaki version in the kids department, maybe a 14-16 would even be an option for my 5’nothing crew. Anyway H&M you can sell out all you like! Because I have a much better option. Not too expensive, not too sold out, these ones are Just Right. We all know that I look neither this Scandinavian nor this cool wearing a raincoat. They’re a Danish company – it’s super functional – I particularly appreciate the peaked hood- you can just about get a glimpse of it here, although I notice they don’t have the model wearing the hood up and that is because no one looks cool with their hood up. Available in a number of classic colours too, if you don’t share my general commitment to black. There we go. The raincoat you never realised you needed, until you find yourself walking down Upper Street with your crying firstborn in a babybjorn, while also attempting to push a buggy/stroller, carrying an umbrella and feverishly texting your husband to have him come and rescue you from the torrential rain. That never happened. (It did happen). Do I need to mention that this wasn’t sponsored? It wasn’t sponsored I just like talking about rainwear. 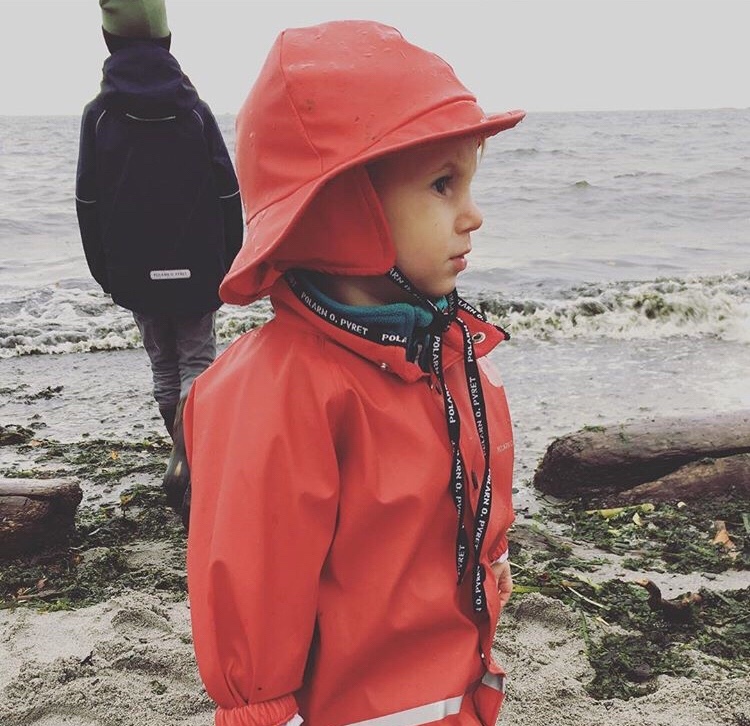 Especially now that I’ve realised a post about rainwear means I can legitimately share this photo of Wilf, proving that actually you can look cool with your hood up, or indeed your matching rain hat on.